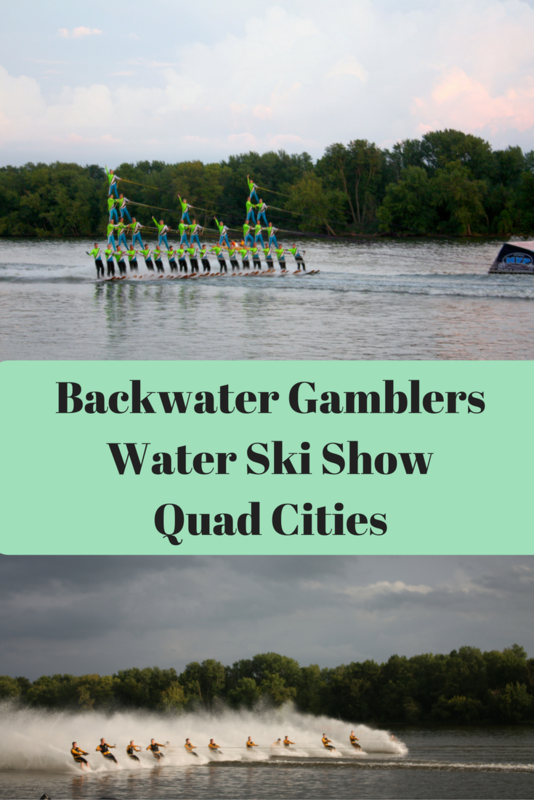 Our first evening in the Quad Cities, we delighted in a water ski show by Backwater Gamblers. The Backwater Gamblers hold two free shows each week during the summer with additional shows during holidays. 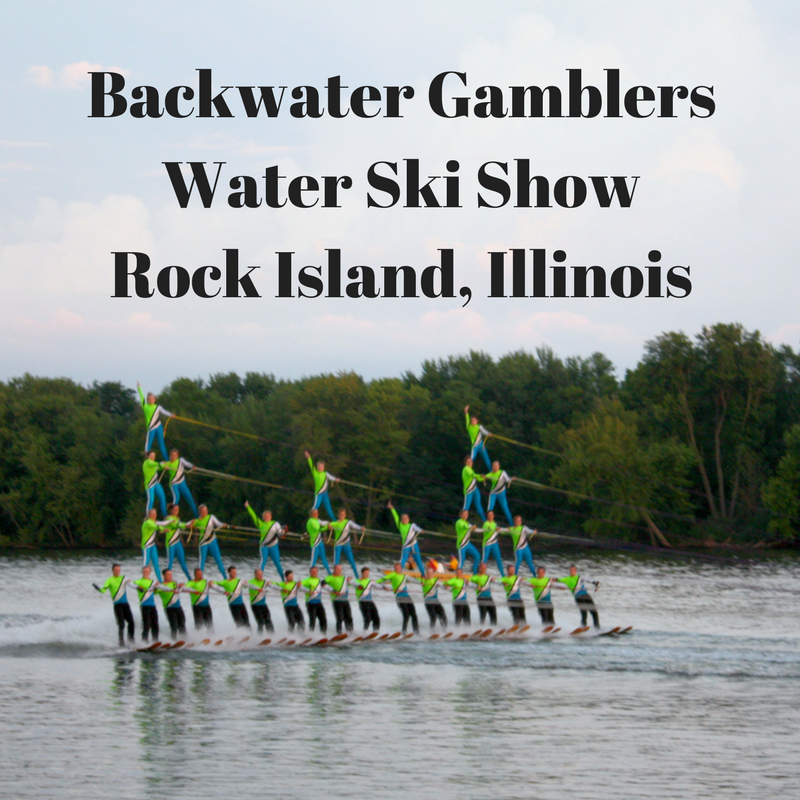 They are a water ski team, so they sometimes cancel performance due to a competition. The performances are held on the beautiful Rock River. 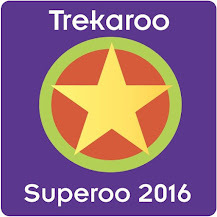 Shows are about an hour long and feature various teams and arrangements of performers. 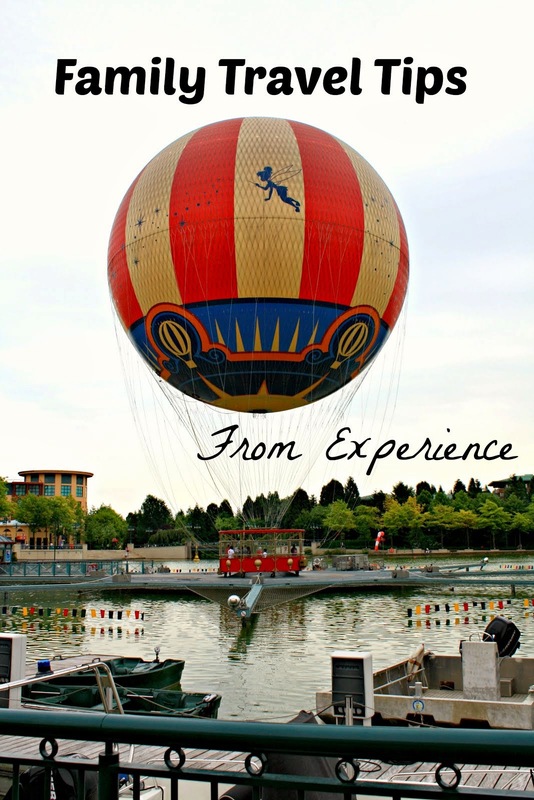 We saw barefoot water skiing, ski jumping, turning on the skis, pyramids and more. We sat on bleachers during the performance. There was plenty of room for the crowd. The weather was a bit spotty, so I do recommend bringing a poncho or umbrella if the day is iffy but they still run the show. We were treated to a magnificent rainbow over the river! The show's announcer adds some comedic relief to the show which also adds some more fun for the families. There is also a little contest for the audience midway through. The show was very entertaining from start to finish with plenty of action. One of the last acts of the show involved multiple teams out on the water in multiple formations. Thrilling! 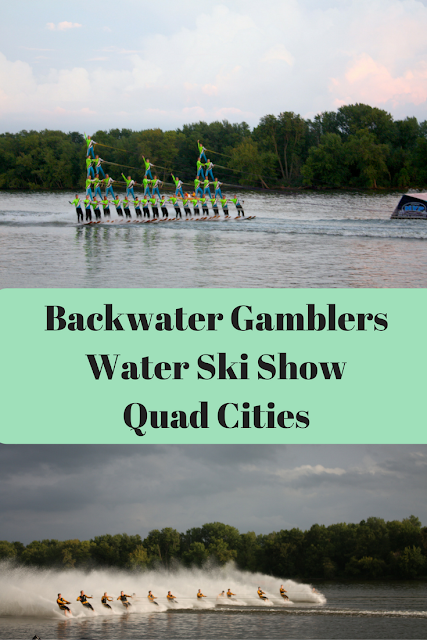 Backwater Gamblers Ski Club was originally founded in 1980 and has been part of the Quad Cities ever since! 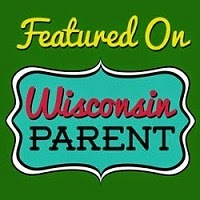 We loved the show and recommend it to families visiting the Quad Cities. The organization runs on donations, so I do recommend donating a little if you are able. Such a treasure! How absolutely awesome! I wish I got to see it when we were there! 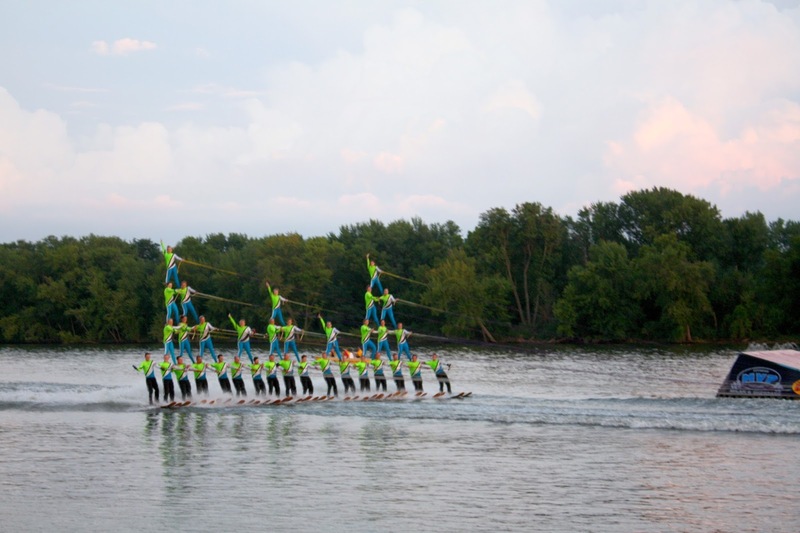 I recently went to see a waterski show in Janesville, Wisconsin and it was awesome! 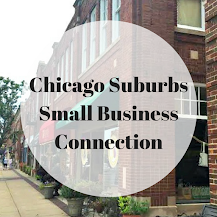 I've had my eye on the Quad Cities one for a while too as it's not too far from me!